According to a recent finding conducted through millions of Opera Max users, around 30% of data in a smartphone is used by the apps running in the background. To assist people in managing the data usage by the apps, Opera Max introduces Smart Alerts. The Smart Alerts will automatically identify the data-consuming apps running in the background and send notifications to the user about how to manage these apps. 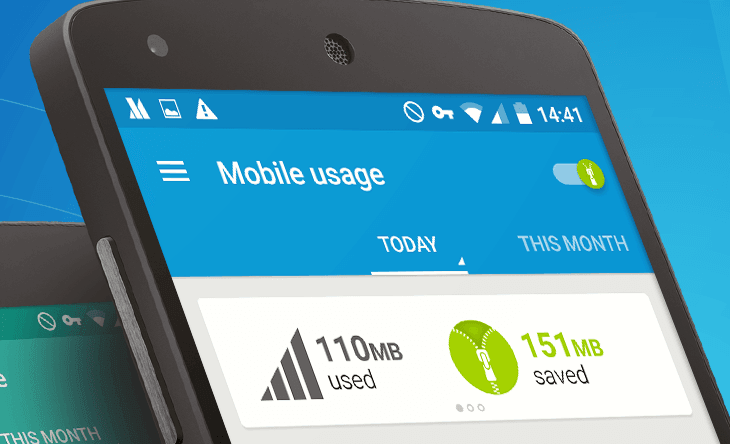 Opera Max triggers Smart Alerts when it detects excessive data usage, of over 10MB per week. The data alerts will be shown as a card ‘in the ‘Data usage timeline’, a card in ‘App management’ in the OS notification bar. Alerts will also appear as pop-ups on the phone when there is an excessive drainage of data. Meanwhile, in the finding, Facebook Messenger and Gmail holds the top positions as the most data-hungry apps, with 73% of their total data usage happens in the background. Google Drive and Whatsapp too count among the top users, however around 50% of the background data usage. “Most apps are made to give a great user experience, not to save data. If you fetch background data through your data plan, it’s like throwing away $1 out of every $3 you spend on your mobile data plan,” said Sergey Lossev, Product Manager at Opera Software. “Most people are not aware of this background data drain and may not have authorized it, nor do they know how to stop it from happening. That is why, today, we are introducing Smart Alerts in Opera Max,” adds Lossev. The finding on background data consumption in the smartphones is based on data from anonymous aggregated statistics among Opera Max users in December 2015, stated Opera Max in its release. I dont know why people prefer chrome over opera for computers though it is much better than chrome in many aspects. What about opera max slowing down the phone due to heavy RAM usage? Also it for some reason blocks my ISP login page so totally useless for me.